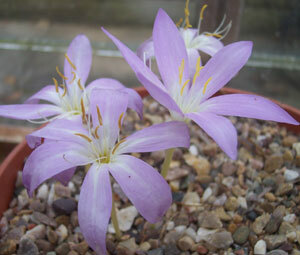 A very lovely dwarf, autumn flowering species to 10cm with large bright lilac-rose flowers and narrow, dark green leaves. Best for pot culture in a cold frame or in a warm garden could be attempted in a raised bed with very well drained soil. Limited availability.